Please note this is from Israel and Israel is 7 hours behind AEST. Today was Yom Yerushalayim – the day marking the reunification of Jerusalem 47 years ago, when, in the course of the Six Day War, we liberated the part of the holy city that had been occupied by the Jordanians. It is well past sundown here now, so the day of celebration is over in Israel. 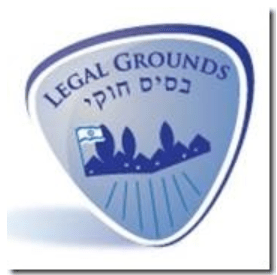 A frustrating day for me today, because I was so involved in Legal Grounds work – work that could not wait – that I had not time to do the sort of writing I would have wanted to do. And yet, I could not let it pass without a mention. Jerusalem. This golden city truly is at the center of the world. “Those who remember Jerusalem immediately after the Six Day War, it was not a small village nor a large city…and today Jerusalem is a huge city. “Jerusalem is Yad Vashem, Jerusalem is Herzl’s burial place and the Mount of Olives, where my grandparents are buried, as is Menachem Begin. Any one who loves Jerusalem, instinctively understands its spiritual importance and knows that it can never be divided. The city is a place of heightened energy. which cannot be described but only felt. Anyone who grapples with the political and logistical and security issues impinging on this area comprehends as well, at a more pragmatic level, that it must remain ours. When the Arabs do battle, as they are for the Temple Mount, they seek to undercut the very essence of what we are. We have much hard work to do yet, to truly claim it as ours. It will not be easy, but it is very necessary. 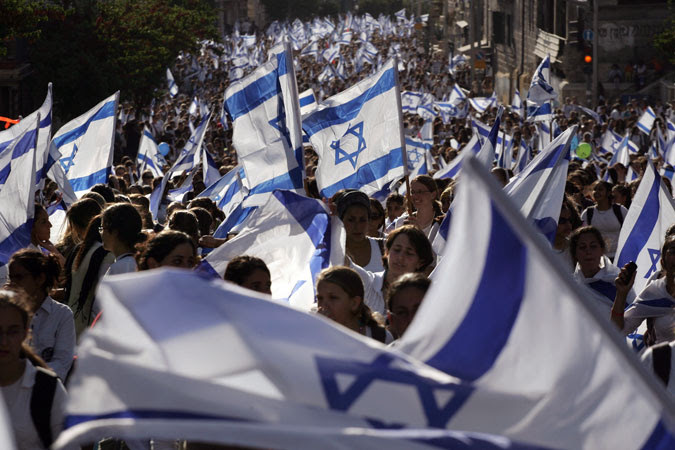 The traditional celebration for Yom Yerushalayim is the Flag Dance Parade. Young people by the thousands wave their flags as they make their way through the designated streets of Jerusalem, ending up at the Kotel. It is a sight that lifts the spirits high. That makes one grateful and glad. See Myths and Facts for old pictures and an explanation of Jerusalem’s historical/spiritual connection to the Jewish people. And I close, as I often do on Yom Yerushalayim, with the magnificent, late Ofra Haza singing Yerushalayim shel Zahav. Previous Jewish refugees from Arab lands: are they an issue, 60 years on? Next Jobar’s Syria’s Oldest Synagogue, Destroyed by Assad.